Written by Ivana McConnell on May 16, 2017 . Where is the user now in this campaign? Where have they been? What messages have they received? Which messages and actions have they skipped, and why? You can see the state of the journey (“Active” in the above screenshot). 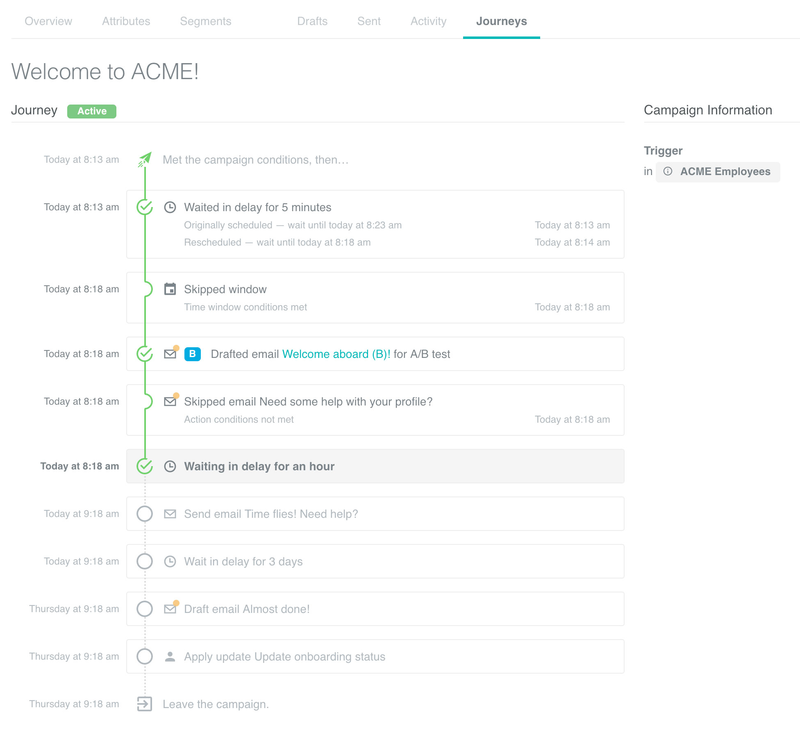 On the right side is campaign information, where you’ll see the campaign’s triggers, filters, and conversion goal. The main journey display is made up of rows. 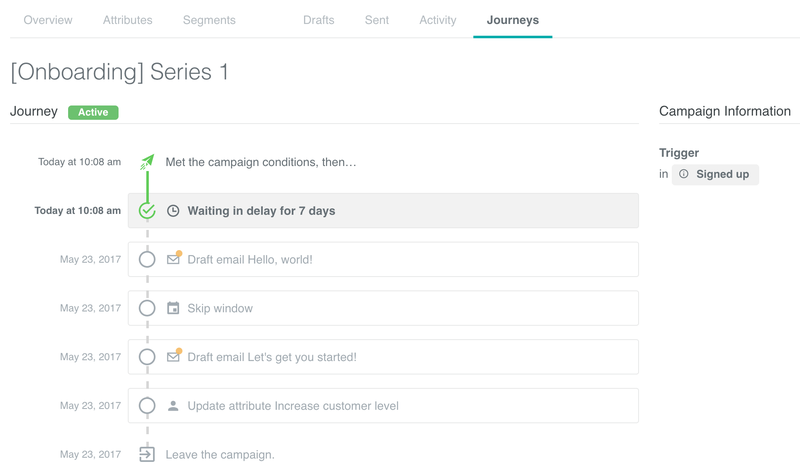 Each row is a step in your campaign’s workflow. For each future action, we show when we expect it to happen. Here, there were a few changes made which impacted a user’s wait in a delay. They were supposed to wait ten minutes but in the end, they waited for two. 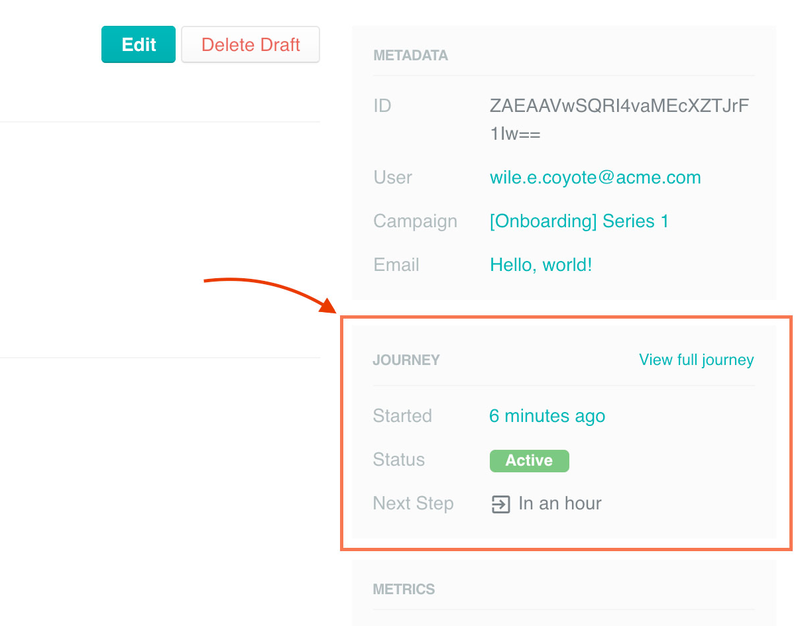 This is just the first step of surfacing more information about your campaigns and how users move through them. 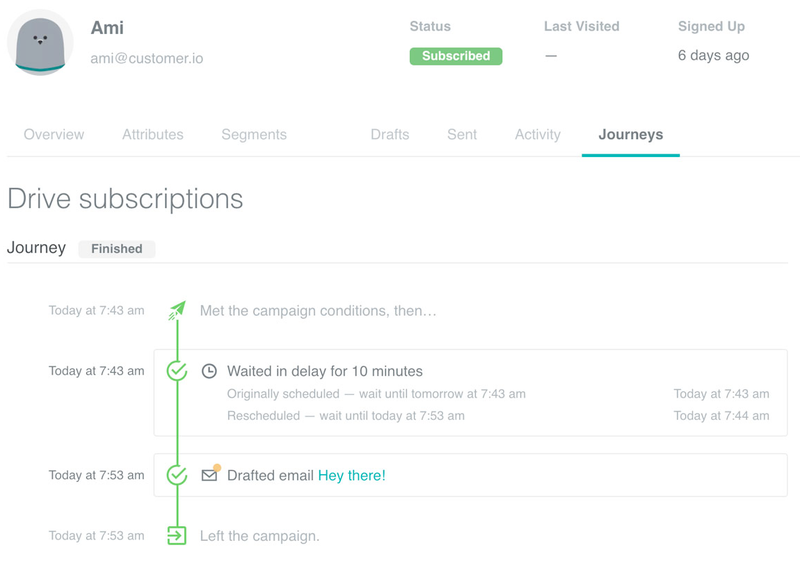 We want to make Journeys even better, and if you have feedback, send us a note to let us know! (Again, this feature is only available for accounts on the new Google Cloud infrastructure.) Questions, feedback, or need a hand? We’re here for you at win@customer.io. !